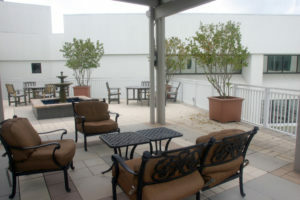 The Terrace has been made possible through the generosity of many donors to the Forrest General Healthcare Foundation. It is the hope of the Foundation and its donors that many parents and families will be able to find moments of rest and peace during their hospital stay. With generous donations from family and friends of Cecilia C. Duhon along with the Forrest General Healthcare Foundation, the NICU WebCam System was able to be purchased. Each NICU bed is equipped with a webcam so parents can stay connected with their newborns. It also provides a way for loved ones that are too small or too far away to see your newest little addition. With the generous donations from Forrest General Hospital employees and community donors to the Forrest General Healthcare Foundation, the Waterless Milk Warmers were able to be purchased for the Forrest Health’s Neonatal Intensive Care Unit (NICU) at Forrest General Hospital. Our healthcare professionals understand the risks that are associated with warming human milk in water. That risk is now eliminated and the safety benefits of our warmer go even further. 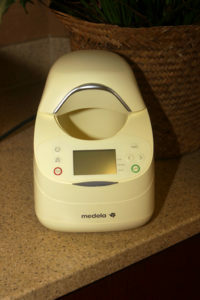 With just a few simple steps, the Waterless Milk Warmer warms milk to temperatures consistent with expressed human milk. It safely thaws human milk to refrigerated temperatures in less than 33 minutes for storage up to 24 hours.